Put this on your calendar with an annual repeat, because a winter auto inspection near Springfield, VA, assures you that your car is safe and in top working condition for the winter months ahead. As our vehicles become more sophisticated, stronger, lighter, and more reliable, we are able to keep them on the road for longer periods of time. 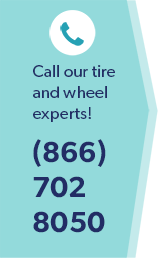 The good news is that with proper maintenance and recommended periodic service, your car, truck, or SUV can serve your transportation needs for thousands of worry-free miles. Your tire treads and wear patterns, and may recommend using snow tires if you face difficult weather or terrain. Your brakes, brake pad wear, rotors, lines, and calipers. The working operation of any four-wheel-drive systems. That your wheels are in alignment. The suspension and exhaust systems. The appropriate oil viscosity for winter protection. And inspect belts and hoses, and change all filters. Windshield wipers and top off your wiper fluid with cold-weather rated solution. Clean, and test the battery. The antifreeze mixture is adequate. Proper operation of the heater and defroster. A little preparation can go a long way to staying safe and secure on the roads this winter. Before you head over the river and through the woods, make your first stop at Wiygul Automotive Clinic for a winter auto inspection near Springfield, VA. We’ll help you maintain your car this winter, and get you safely back on the road in no time.